Twitter supplies a pipeline into what people are talking about, and how they talk about it. This workshop teaches you to search for and collect data from Twitter from your browser or with just a little bit of coding. 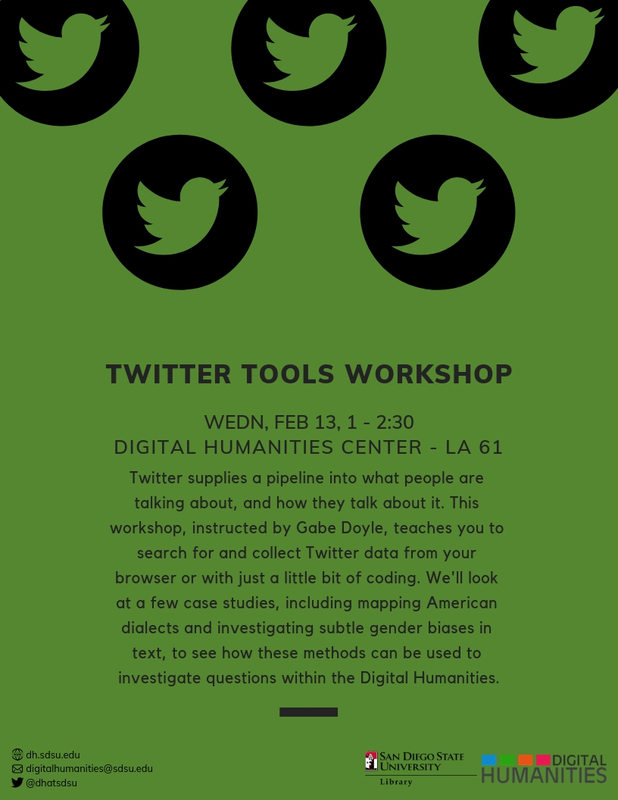 We'll look at a few case studies, including mapping American dialects and investigating subtle gender biases in text, to see how these methods can be used to investigate questions within the Digital Humanities.